After a long illness Felix Jacob Nuesch died peacefully on June 6, 2016 at his home in Free Union. Felix was 84. Born and raised in Balgach, Switzerland, his love for horses began at a very young age with a pony and cart that he used to load up with eggs to sell at the local market. As a young man he was a member of the Swiss Calvary, during which time he competed in military events and in European Three Day Events. Later he went on to gallop race horses in France prior to coming to this country in 1956. He started work managing Canaan Farm in Esmont where he met his wife Annemarie. He then went on to manage several farms such as Lewisfield and Ingleside in Charlottesville while he started his own business at his home, Rehberg Farm, in Free Union. There he trained race horses, show horses (competing them in Hunter and Jumper Classics against some of the great riders of that era) and developed fox hunter prospects as a member of the Farmington Hunt. Felix, always rising to a challenge, particularly enjoyed working with the problem horse including those sent to him by other professionals. 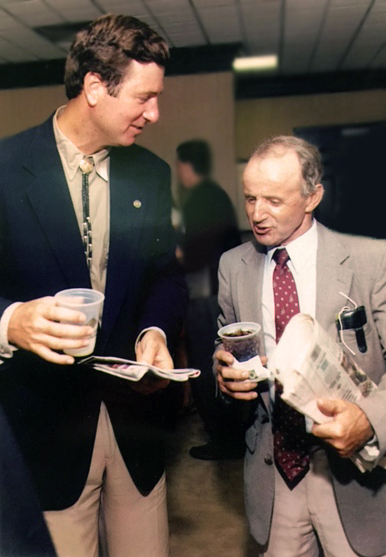 In 1984 he started Braeburn Thoroughbred Training Center in Crozet, VA where he and his family broke and trained horses for owners such as Lael Stable, Christiana Stable, Morven Stud, Al Fried, Jr., Joanne Nielsen, and Mr. and Mrs. Orme Wilson. 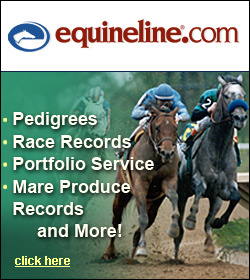 Grade 1 winners, Thunder Rumble, Unaccounted For and Waquoit received their early educations at Braeburn. His family continues to run the farm where his son, Pat is the head trainer. As a thoroughbred owner, Felix had horses win at Virginia’s Colonial Downs over the years including Dance In Space, Tiefordancen, and Sleeping Potion, among others. The latter had three wins at the New Kent track and bankrolled $132,295 in his career. An active member in the horse community, Felix was instrumental in developing the VA Horse Center in Lexington and was on the board for many years. He was inducted into their Hall of Fame as well as the VA Horse Show Association Hall of Fame and was named Horseman of the Year by the VA Horse Council. He will be best remembered for his mentoring of young people in all phases of the horse industry sharing his devotion and love for the horse. He was preceded in death by his wife Annemarie. He is survived by a son Patrick and his wife Roslyn of Crozet and their children Elizabeth and Christopher; son Raymond of Washington DC; a son David and his wife Daryl of Monrovia, CA; and a sister Annegret and a brother Peter both of Switzerland. A memorial service will be held at St. Paul’s Church, Ivy, on Friday July 1st at 11 AM. Memorial donations may be made to the Virginia Horse Center Foundation in Lexington or the Earlysville Volunteer Fire Department. 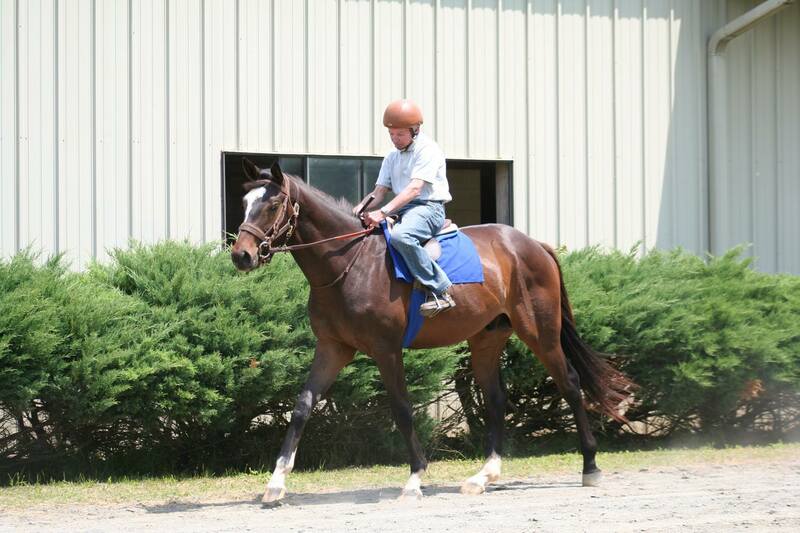 Felix Nuesch, owner, trainer and breeder, is pictured here riding.